Ann Arbor boasts a diverse range of restaurants, tackling American classics, eclectic cafes, and international cuisines all in the heart of one city; they have something to satisfy everyone’s palette. 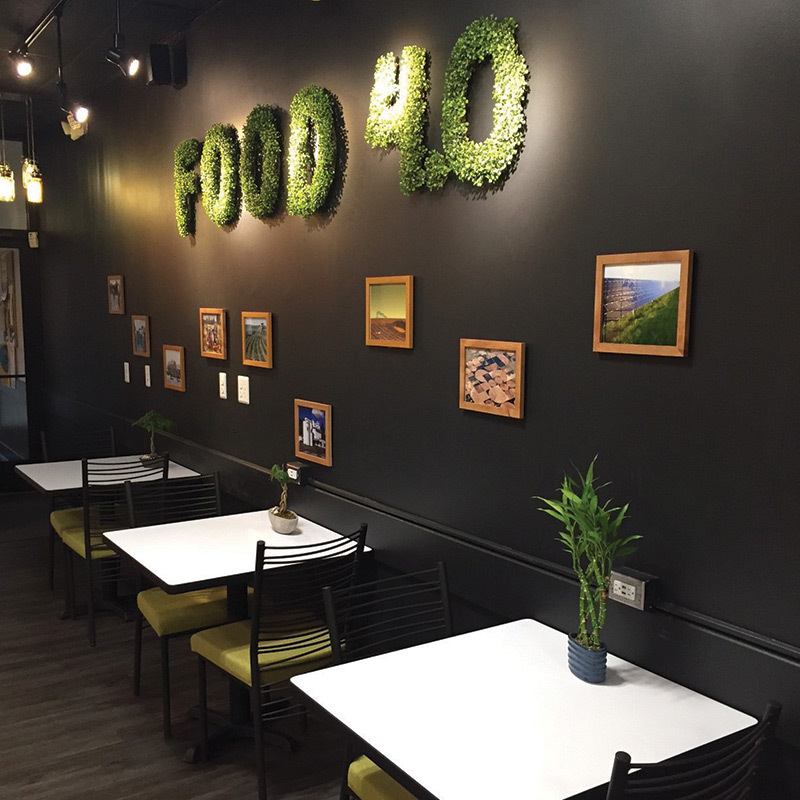 Despite being a small college town, Ann Arbor has so much to offer for those with dietary restrictions and those looking for healthy options too. To make it easier for all you health-focused foodies, We’ve compiled a list of some of our favorite healthful places in Ann Arbor that we LOVE and know you will too. This bright and cozy cafe serves gourmet breakfast and lunch foods with healthy and wholesome ingredients that will satisfy all your morning cravings. Their breakfast items include breakfast quesadillas, omelettes, power bowls, and french toast while a variety of delicious soups, salads, and sandwiches are offered for lunch. On top of food, Juicy Kitchen serves coffee beverages, smoothies, and fresh squeezed juice (hence the name). Almost all of the menu items have vegan and gluten free options, making this a great spot for health conscious foodies! The Lunch Room Diner & Canteen specializes in delicious plant-based (AKA all vegan!) comfort food alongside a full bar. The restaurant has a casual diner-style vibe with lighted outdoor seating perfect for an evening out during the warmer months of the year. They offer cuisine inspired from various countries around the world such as the Vietnamese “Banh Mi Chay”, and “Mumbai Lemonade” along with their selection of salads, sandwiches, and American-style entrees. Many of the menu items are, or can be made, gluten-free and use organic, GMO-free ingredients whenever possible. First Bite delivers on its mission to serve high quality and nutritious food sourced from local farmers and vendors with nearly 100% fully compostable packaging. Here, you can truly eat good and feel good while you do it. This modern cafe offers delicious breakfast items like avocado toast, fluffy french toast, and veggie omelettes, as well as hearty salads, burgers, and wraps for lunch. And don’t worry about dessert- they have that covered with an array of muffins, scones, and vegan, gluten free cookies. wilma’s is a hip, eclectic cafe perfect for a late brunch with your friends and family. Some of their most popular menu items include the “Avo Toast”, “Tuna Poké”, “Veggie Burger”, and the “Açaí Bowl”. And you know what’s even better? You can buy our very own GoNanas bread here to finish off your meal! Get your health on, snap a cute pic for the ‘gram, and fill your stomach at this great local spot. PoCai is the perfect place to grab a quick and nourishing bite to eat with your friends. 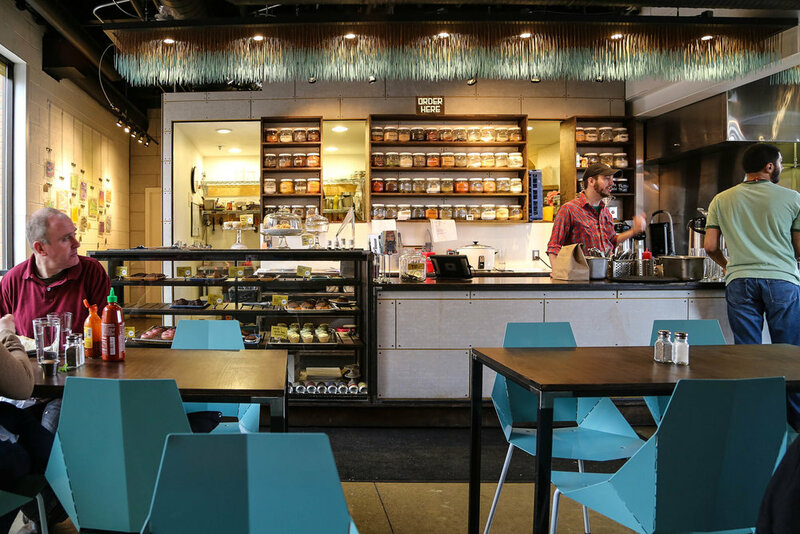 The food stop offers acai bowls with a variety of toppings, poke bowls, and a delicious avocado toast, and nearly every menu item has vegan or gluten free options. If you can’t make it out, order in! PoCai now offers delivery directly to you. This place combines bakery, coffee bar, and restaurant all into one in a cozy and welcoming environment. Their food offerings span from hearty breakfast toasts and omelettes to spicy chicken sandwiches and tabbouleh salads. Avalon also specializes in an assortment of vegan cookies, bars, and cakes. The restaurant is loyal to using 100% organic flour in everything it makes and is committed to bettering the environment and surrounding communities, so do good by eating good here! Sourcing food from their own family farms, Fresh Forage offers the best selection of rice and noodle bowls with any toppings of your choosing. They are all about preserving the beauty of Michigan and that’s why they have taken initiatives like buying a zero-emission electric shipping truck and installing solar panels for the restaurant’s energy demands. The restaurant also provides catering so you can serve the freshest foods to guests at your own parties or get-togethers!